Franzia Wine Company was founded in the California wine country near Yosemite Valley at the turn of the century. Besides producing a full range of affordable wines for over 100 years, it was the first American company to sell wine in a box, a novelty that made the name Franzia synonymous with the concept. Teresa Franzia planted the first Franzia wine grapes along the side of a road that led to Yosemite Valley in 1906. Teresa and her family survived by selling and shipping the grapes back to home winemakers on the East Coast during Prohibition. When Prohibition was rescinded, her seven children built and operated the California winery, which launched its post-World War II advertising campaign with the slogan, "Make friends with Franzia." The Franzia Wine Company quickly became popular for its wide selection of affordable wines. Although the original concept of boxed wine was patented in Australia in 1965, Franzia was the first boxed wine marketed in America in the late 1970s, and it became the most sold wine in the United States in the 1990s. Franzia was also the first boxed wine with a built-in tap on the box, a patented recloseable spout called WineTap that is also stamped with a "best by" date. The boxed wine is sold in three liter and five liter sizes and, according to independent studies, the last glass of wine poured from the box tastes as fresh as the first. The Franzia family sold the brand to Coca-Cola in 1973, which sold it to The Wine Group, the third largest wine company in the world, in 1981. For almost a century, Franzia Wine has offered a wide selection of white, red and blush wines to suit every taste and consistently ranks among the best box wines on the market. These varietals are true to the taste of their grapes, with a hint of oak to round out the flavors. They include Cabernet Sauvignon, Chardonnay, Merlot, Shiraz and Zinfandel. If you keep a selection of these old world type wines on hand, you will always have one to complement any dish you serve. All seven are semi-dry and full-flavored. 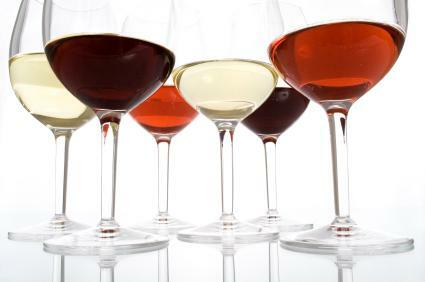 The classics include Burgundy, Chablis, Chianti, Rhine, White Zinfandel, White Grenache and White Merlot. Perfect for sipping in the parlor or by the pool, these light, fruity wines have refreshing bouquets and fulfilling finishes. The group includes Chillable Red, Crisp White, Fruity Red Sangria, Refreshing White and Sunset Blush. Once opened, Franzia wine will last up to six weeks. Refrigeration is recommended for all Franzia wines, and they suggest taking wine that is to be served at room temperature out of the refrigerator about an hour ahead of time. Franzia wines are gluten-free and vegan friendly, as they do not contain any animal products. Teresa Franzia's daughter Amelia married world-renowned wine maker Ernest Gallo. Teresa loaned Ernest the seed money to start the family's famous winery. In Spring of 2007 at the FranziaFest VII at Turtle Creek Apartments in South Bend, Indiana a team of three men and two women set the world record for the fastest time to drink a box of Franzia by consuming a box of Sunset Blush in 52 seconds. Many people still turn up their noses at the notion of boxed wine. Keep in mind that like-minded people also shunned the idea of screw-top wines, which are gaining popularity in the world's top wineries as they slowly replace natural corks, which eliminates cork contamination and reduces wine spoilage. Most people who truly appreciate wine don't care what kind of container holds their favorite vintage, as long as it tastes good, and Franzia is frequently their top choice.